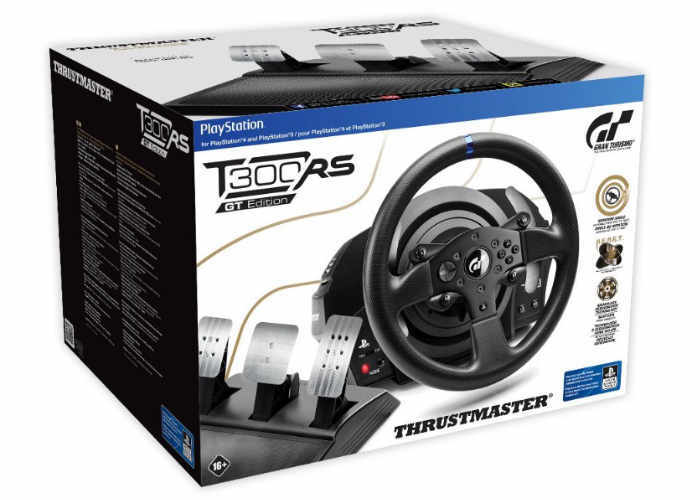 Video game drivers searching for a new PC or PlayStation racing wheel, will be pleased to know that Thrustmaster has just unveiled their latest addition to their PlayStation game of peripherals, by unveiling the Thrustmaster T300RS GT Edition wheel which is compatible with PC PlayStation 4 and PlayStation 3. The upgraded version of the T300RS racing wheel, dubbed T300RS GT Edition has been created to complement the new Gran Turismo racing simulation game which is currently be created by Polyphony Digital for the PlayStation 4. Features of the T300RS GT Edition include a brushless motor with force feedback complete with up to 270-1080 degrees of rotation. Thrustmaster’s H.E.A.R.T. (HallEffect AccuRate Technology) uses contactless magnetic sensors to deliver 16-bit precision (65,536 values) and Thrustmaster have included an internal memory and upgradable firmware. 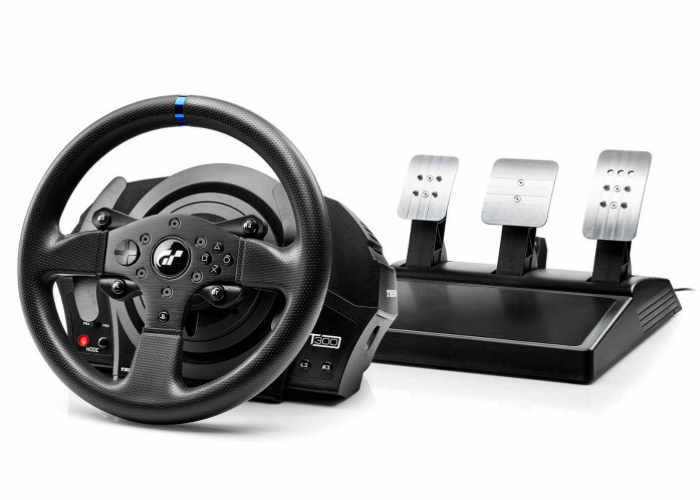 The T300RS GT Edition comes with a metal 3-pedal set (as opposed to the regular 2-pedal set) complete with clutch and sports and all metal design which is finished with leather and rubber trim, which can be detached and swapped out for other rims in the Thrustmaster range. The Playstation racing wheel also sports PlayStation 4 buttons and features the Gran Turismo logo in the middle.